Duran Duran released their first single “Pressure Off” from their 14th studio album, Paper Gods. 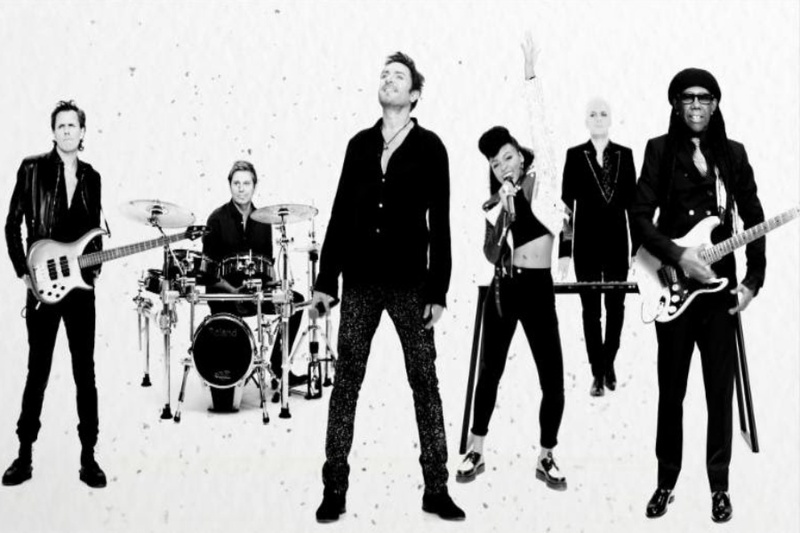 In the music video the British new wave band are featured alongside Nile Rodgers and American vocalist Janelle Monáe. The music video was shot in both Los Angeles and London by the famed English director Nick Egan. Egan has an excellent understanding of who Duran Duran are as a band, which resulted in a great performance. The song is about leaping into the unknown, taking the plunge and seizing the moment. The video is funky, playful and feel good. Nick Rhodes came up with the jumping idea for the video which was based on photographs of Philippe Halsmann. Rhodes, the music legend, also shot UK pop star Charli XCX for The Untitled Magazine’s Music Issue 6. The album was produced by Mark Ronson and Rodgers. The album also features collaborations with Kiesza, former Red Hot Chili Peppers guitarist John Frusciante, and Lindsay Lohan.